Northrop Grumman is targeting liftoff, on its Antares launch vehicle, no earlier than 4:49 a.m. EST Nov. 15 from the Mid-Atlantic Regional Spaceport’s Pad-0A at NASA’s Wallops Flight Facility on Wallops Island. To cover the prelaunch and launch activities at Wallops, international media without U.S. citizenship must apply for credentials by Thursday, Oct. 25. The application deadline for media who are U.S. citizens is Thursday, Nov. 8. U.S. media also are invited to Wallops to speak with NASA and Northrop Grumman officials about the upcoming mission, and view and photograph the Cygnus spacecraft, at 2:30 p.m. Wednesday, Oct. 24. The deadline for accreditation for this opportunity is noon Tuesday, Oct. 23. All accreditation requests must be sent to Keith Koehler at keith.a.koehler@nasa.gov. Each resupply mission to the station delivers scientific investigations in the areas of biology and biotechnology, Earth and space science, physical sciences, and technology development and demonstrations. An investigation into the complex process of cement solidification to explore how gravity levels like those on the Moon and Mars may potentially affect concrete hardening. Research to develop a mathematical model for how an astronaut’s perception of motion, body position and distance to objects changes in space. A test of the first integrated 3D printer and recycler to turn waste plastic materials into high-quality 3D-printer filament to create tools and materials, a key capability for future long-duration space missions beyond low-Earth orbit. 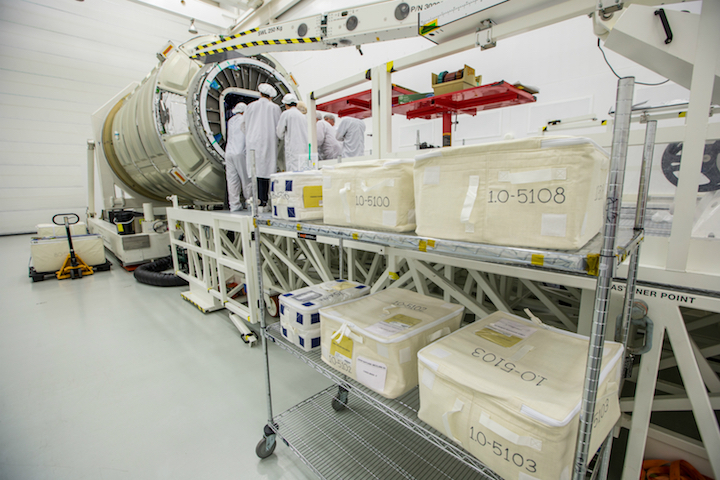 Cargo resupply from U.S. companies ensures a national capability to deliver critical science research to the space station, significantly increasing NASA's ability to conduct new investigations at the only laboratory in space.